Open the video that you'd like to embed. Embed Code - Simply copy & paste this code to your website/blog and you're done! 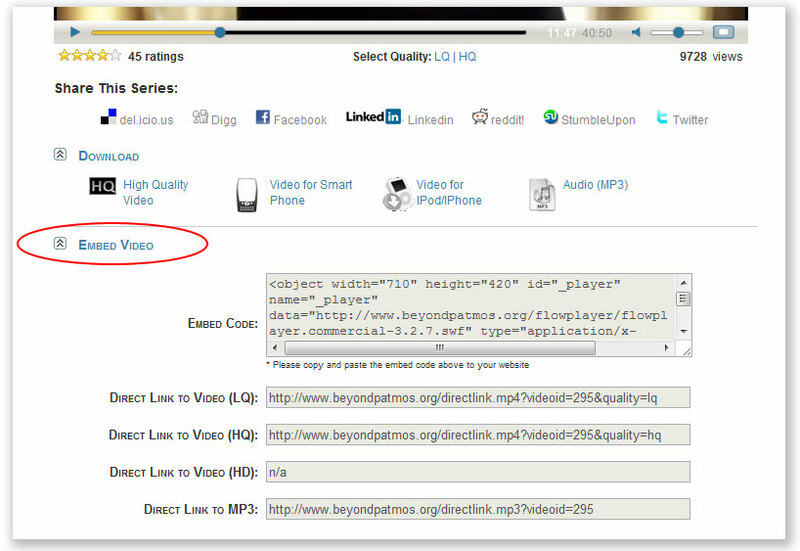 This is the simplest way to embed a video to your website. Direct Link to Video... - this is direct link to the video file. You can use these links for your own web based video player (such as jplayer) or a simple direct download link. Using these links instead of absoulte url, will also ensure that you're always get the current video location, should we changes it for any reason. Direct Link to MP3 - same as above except link to the audio (MP3) file.